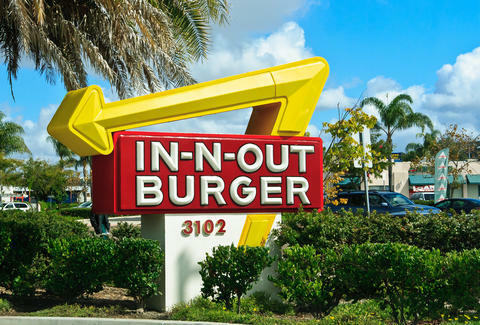 Going through the In-N-Out drive-thru is a time-honored tradition for Californians, Arizonans, and Texans looking to get a fix of what might be America's best fast-food chain. But people usually don’t usually make it a priority to get a Double-Double Animal Style while being pursued by the police. That all changed on Wednesday night in Phoenix, when, according to Fox 10, a 35-year-old burger-loving suspect took police on a car chase and then "appeared to order food" at In-N-Out before driving away and abandoning his pickup truck. He later surrendered to the cops and was taken into custody. But seriously, imagine the tremendous amount of willpower it must take to order In-N-Out and then not eat it. Unless, of course, you're this guy. Lee Breslouer is a senior writer for Thrillist, and needs a Double-Double in his life soon. Follow him to healthy eating habits: @LeeBreslouer.